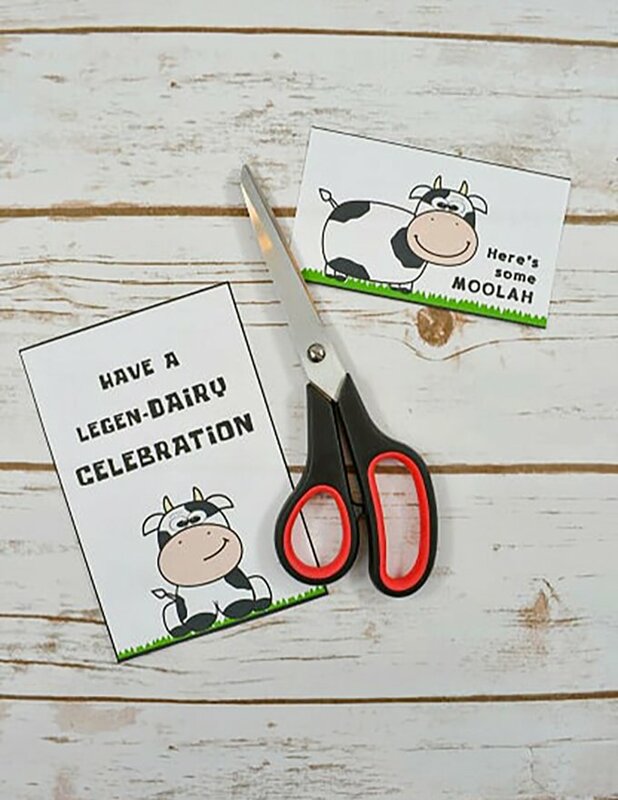 DIY Cow Birthday Card is so fun and easy to make using the FREE printable and are perfect for money or gift cards! 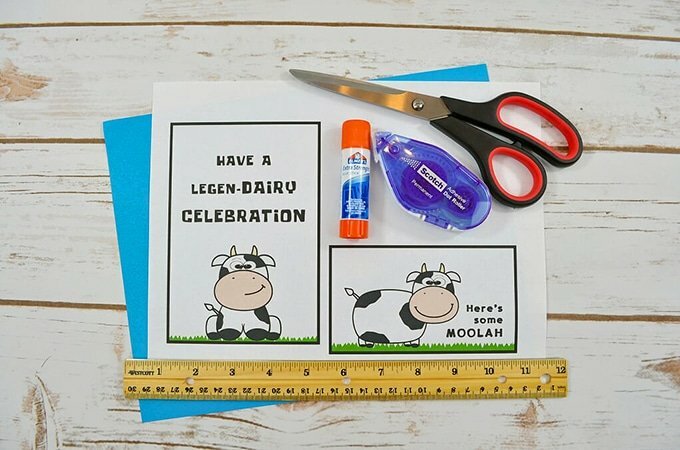 I am going to interrupt our weeklong Back-to-School miniseries because today is my birthday ☺ and I’d like to share with you this super adorable DIY cow birthday card with a super cute FREE printable. 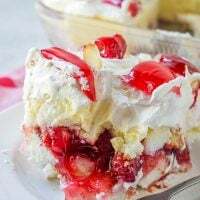 Nothing says you’re special more than a homemade greeting card and it’s doubly fun to receive when it has a surprise gift card or cash inside. 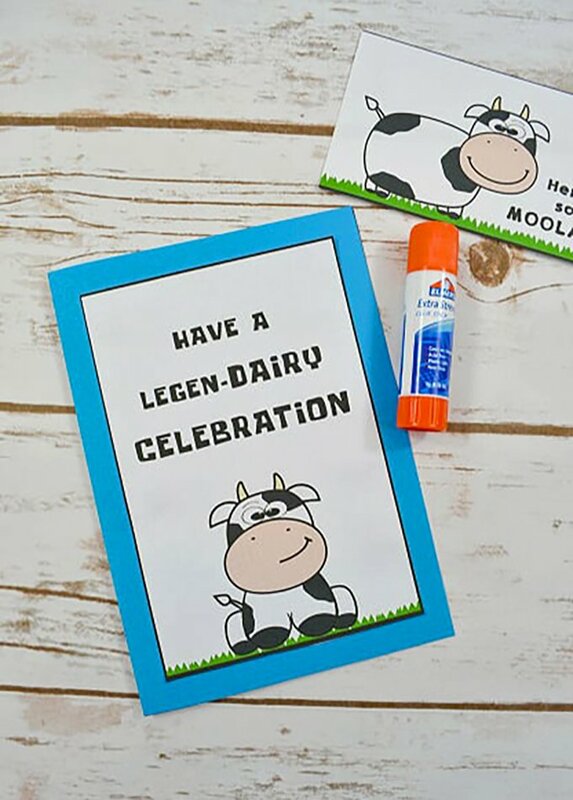 😂 This homemade cow birthday card is so fun and easy to make; just print the FREE printable (the link is on the supply list below) and glue on a quality card stock paper with your choice of color. Easy peasy. It’s perfect for birthdays but can also be used for anniversaries, graduations and other special occasions. Have fun! Fold the cardstock in half. 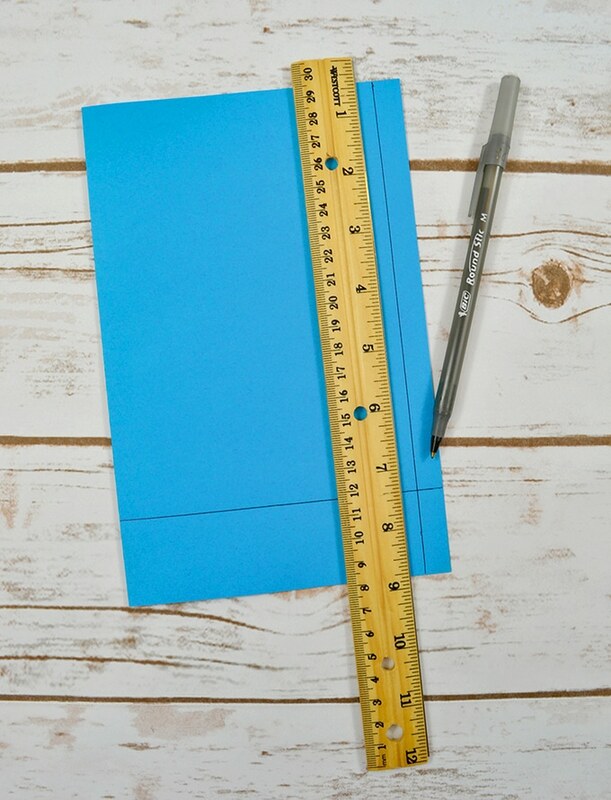 Using the ruler, measure and cut the cardstock into a 5x 7-inch size to fit standard greeting card A9 and A7 envelopes. 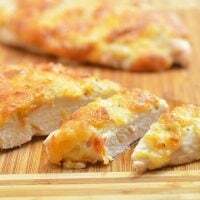 Cut the pieces out of the printable, making sure to cut off completely the black side edges of the smaller piece. 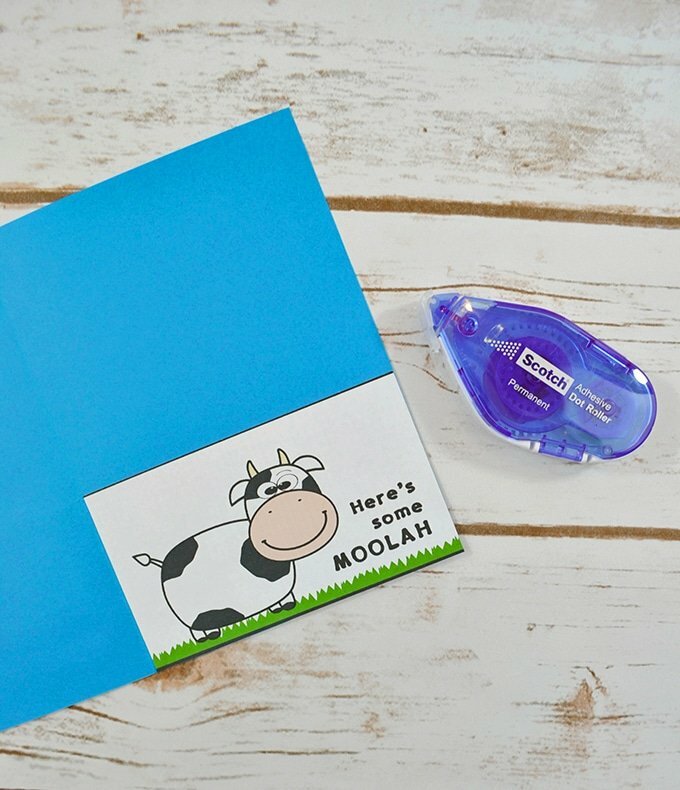 Using the glue or double-sided tape, attach the printable to the front of the card. Use the tape runner & run a strip of tape to both edges and bottom only of the smaller printable. 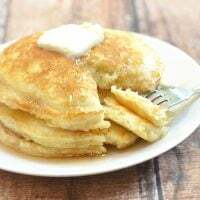 Leave the top with no adhesive. 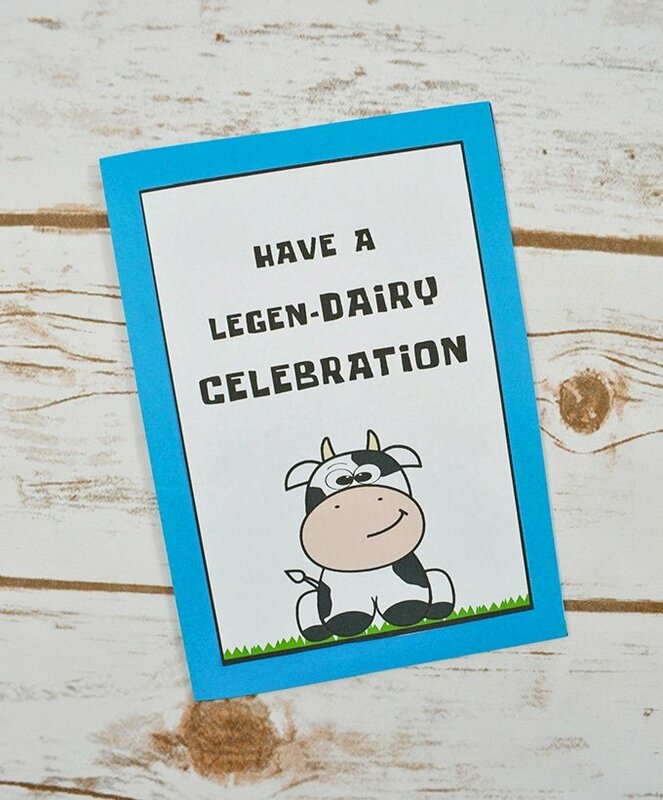 Open the card & stick this printable piece to the bottom right corner creating a pocket. 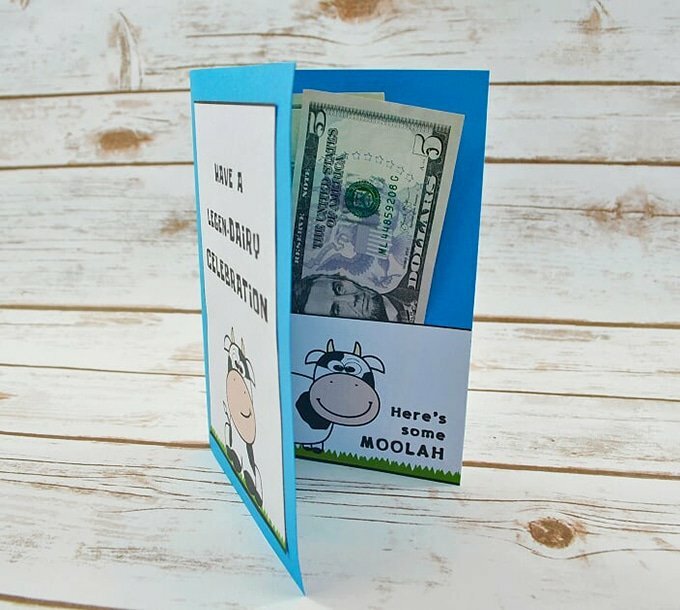 Add money or gift card in the inside pocket, place your homemade card in an envelope, and it’s ready to bring birthday cheer.